Advocacy for public banking here in Massachusetts has been ongoing for several years. In 2010, the Massachusetts legislature passed an economic development bill, Chapter 240: An Act Relative to Economic Development Reorganization, filed by then-Senate President Therese Murray. Among the many sections in the bill was one creating a study commission to look at the possibility of establishing a state bank. One compelling rationale for looking at a possible public bank was the relative ease with which the economy of North Dakota, the only US state with a public bank, had weathered the banking and foreclosure crisis of 2008. The proposal provoked both interest and criticism from banking associations and support from one public policy think tank, but otherwise drew little public or media interest. A commission of 21 members, including representatives of various state offices dealing with financial administration, housing, and economic development, and quasi-public agencies including MassDevelopment, MassHousing, and the Massachusetts Growth Capital Corporation. In addition, then-governor Deval Patrick appointed eight board members, including representatives from the Massachusetts Bankers Association, the Associated Industries of Massachusetts, the Small Business Association of New England, and a UMass/Amherst professor of finance. The commission drew its conclusions from reports, the largest of which was prepared by the Federal Reserve Bank of Boston’s New England Public Policy Center. The state’s Treasurer and some quasi-public agencies involved with development also contributed reports or testimony, as did individuals at the three public hearings the commission held before determining that a public bank would largely only duplicate supports for infrastructure and economic development available through already-existing agencies, and at a hefty capital investment. The commission also highlighted differences in size and diversity between the economies of Massachusetts and North Dakota, and questioned the degree to which the relatively strong state of the North Dakota economy was due to targeted economic development by its state bank, or simply to expansion of fossil fuel development. You can read the full commission report here. However, the commission’s conclusions were not unanimous. State Senator Karen Spilka questioned the decision to suspend further study of the feasibility of a Massachusetts public bank, noting that when the legislature’s Joint Committee on Economic Development and Emerging Technologies conducted a “listening tour” to hear from businesses across Massachusetts, a recurring problem was the need for small-business capital. She also pointed out that a model for infrastructure funding based on public-private partnerships could lead to tolls or taxes being applied to one part of the state or economy for a project that benefits the state as a whole. In addition, Richard Krushnic, a member of Hub Public Banking’s working group, wrote a paper criticizing the commission findings, and pointing out that the initial funding for a public bank could come from already-existing state sources. It was not long after the release of the commission’s report that a group of Massachusetts residents with an interest in public banking began meeting to keep a grassroots campaign for a public bank alive. Some of the people who attended these early meetings were involved in Occupy Boston’s Occupy Money group, others were interested in creating alternative currencies, and others were looking for a more democratic and participatory alternative to current economic development programs. Others had met at a national convention of the Public Banking Institute. After several meetings, the group split, with the members who had been most focused on a public bank for Boston creating the Hub Public Banking working group. 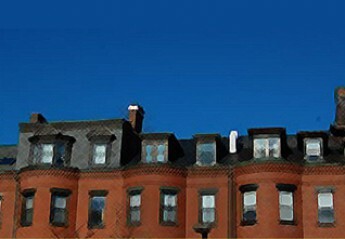 Hub Public Banking set its initial sights on a bank for the City of Boston or metropolitan area, hence the name of the group. In 2015, longtime community development activist and state Representative Mel King and Merelice, a Brookline town meeting member, revived the idea of a public bank, and in consultation with Charles Grigsby, who had served on the original study commission, decided to focus on financing the many infrastructure needs of towns and cities in the Commonwealth. After proving a need for more flexible and lower-cost infrastructure funding, this new working group filed legislation for a Massachusetts infrastructure bank in the 2017-2018 session. This bill has been revised and refiled for 2019-2020. You can learn more about it here.